At Nutropical, quality control is serious business. Through our US Food and Drug Administration (FDA) approved manufacturing facility located in the United States, we follow strict cGMP guidelines (current good manufacturing practices) and SOP (standard operating procedures) to ensure the highest levels of product safety, quality and purity. The quality control process begins with a comprehensive analysis of all incoming raw materials which are tested and analyzed both in-house and by an independent laboratory. 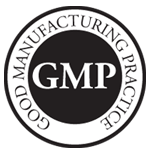 Throughout the manufacturing process, strict standards of quality control under cGMP are followed at every point of contact. Before products are ready to be shipped, they are once again tested by the in-house laboratory to ensure that only the highest quality products will ever reach your home.